The principles I’m assembling are intended to be portable. Even though for now I’m approaching this work mainly as a way to enrich my own classroom experiences, I’m hoping to share what I’m learning with other teachers in the future. I realize that my teaching style tends to be much more hands-on and improvisational–an approach that has been supported by fairly privileged circumstances: most of my college teaching has been done at small, private universities where my administrators have been highly supportive of [responsible] experimentation, community-engagement, and arts-integration, and where my classes have been relatively small: 16 to 22 students. I also periodically teach courses at an overseas institution with larger enrollments (now around 30 per class) and numerous restrictions (logistical and otherwise), but I’ve managed to retain my core approach there while also getting a “reality check” about how much of this stuff one can do as a normal, busy teacher with lots of writing students and not much time or help. Right now I’m concentrating on incorporating this approach into a first-year composition course that meets in a conventional face-to-face classroom, supplemented by a web-based course site. But I’m also interested in adapting some of this work to my web-based teaching and as time goes by will discuss that in more detail. Here I should also mention that I’m deliberately culling these principles from sources outside the “craft of writing” genre. I have a stack of those books–some read long ago, others waiting for me to finish this stage of my work before cracking the covers. But I opted to ignore them temporarily in order to give myself as fresh a perspective as possible during my mostly-non-verbal sabbatical. In other words, I wanted to see what artisans in other fields had to say about learning their craft(s), ruminating on that to see where it would take me before reading likely-analogous observations by writers. This seemed especially important because as a word-person I’m so accustomed to turning everything into a metaphor for writing. It happens automatically. I needed to breathe in a different space. The craft has a history. Even though individuals may discover a particular craft on their own (ex: a child whittling a stick or banging a pot like a drum) the activity itself has a heritage, often one that crosses many cultures and regions. Over time, the fortunate craftsperson encounters more and more of the lore and traditions connecting her work to that of many generations. This background also helps her understand why others did the work–for what purposes and audiences, and with what consequences. Customary materials, tools, or instruments are associated with the craft. The craftsperson may work with alternative materials, tools, or instruments as well, but her craft is built on or enriched by experience in and with the fundamentals (as when a laptop-habituated writer learns to use a notebook and pencil for anywhere, anytime writing). Whether self-taught or required by mentors, certain processes are essential to work done well. Most often these processes are related to the preparation of the craftsperson herself and her workspace, particularly when sharing a space, tools, or materials with others. Sometimes the materials and tools themselves necessitate the ritual or routine (as in the grinding of ink for oriental calligraphy or spinning yarn for knitting or weaving or the tuning of a guitar). The quality of these preparations is manifested in the completed work. The craft has its “best practices”–tried and true ways of working with the materials. Here as elsewhere, the innovative and “original” craftsperson is likely to have mastered the customary approaches as well as and prior to developing her alternative techniques and strategies. At some point the fortunate craftsperson encounters colleagues–historically in the artisan-apprenticeship arrangement or by birth into a family of craftspeople, today also in school, local organizations, or on the Web. This group becomes the craftsperson’s first creative circle or network, expanding over time, and it contains fellow novices with varying degrees of expertise as well as masters who become mentors. Some form of mentorship or apprenticeship enables the novice to be guided as she develops her skills, knowledge, and identification with the craft and its culture. Through this experience the craftsperson gains exposure to exemplary people and/or their works. Learning by doing. That is the heart of craftsmanship, whether learned alone or as part of a community. In either case, experimentation, trial-and-error, are key to improvement and understanding. When learning is done as part of a community or mentorship, the basic structure is likely to follow this process: demonstration and/or explanation, hands-on work or practice, critique by mentors and peers. Work is visible to others, often simply because they are sharing the space. Casual observation and feedback as well as more formal critique are habitual experiences that enable the craftsperson to benefit from other perspectives before, during, and after the creation of each work. Often done by the Heroes (see above), particular works serve as sources of inspiration for craftspeople. Novices learn by replicating the originals and experimenting with alternatives. The most conventional and revolutionary ideas often become the basis for a dialogue or dialectic regarding the nature, contexts, and significance of the craft itself. Within the craftperson herself are three basic dispositional categories important both in terms of what she brings to the work and in terms of what her mentors will attempt to cultivate. (I culled the following directly from the book Studio Thinking by Lois Hetland et al. and will post a more complete citation later. Their work concentrates on visual artists working within a studio environment but translates well to other craft scenarios.) (1) abilities (both in handling tools/materials and in handling the planning and decision-making components of the work); (2) the craftperson’s intrisinsic and extrinsic inclination to use her abilities; (3) her alertness to opportunities for employing these abilities. This component involves the craftperson’s approach to learning in general and to the craft in particular. It’s a collection of ways of engaging the world. Like everything else on this page, the habits overlap with and are influenced by one another and with the other 10 components. The following list is a synthesis from a variety of sources–interestingly, many of these can be found as characteristics of active learning in K-12 education–but the sources most influential to my current version of the list are: Lincoln Center Institute’s “Capacities for Imaginative Learning,” Hetland et al’s Studio Thinking (which uses the term “Habits of Mind”), Donald Schon’s Educating the Reflective Practitioner, and Keri Smith’s How to Be an Explorer of the World. Identifying with your work: approaching each project as an experience in which you are intentionally developing a craft and your own craftmanship. Noticing deeply: making it a practice to observe your surroundings closely, expecting to see things worth seeing and when choosing something to observe, devoting substantial time to the experience, and returning to the site or object repeatedly to observe it from different perspectives noting new details. Using all your senses: being open to your embodied experience of any source of inspiration, both in terms of how it affects you (ex: a delightful fragrance, a painful emotion) and in terms of how you can use your body to experience it more fully (ex: representing your experience through movement or using senses other than your eyes to encounter additional dimensions of it. Questioning and dialogue: continuously questioning what something is what else it might be, being attentive to the ways it responds to your questions as well as to other sources of potential questions and responses. Experiencing, using, and exhibiting empathy: Seeing your work as having consequences for someone other than yourself—as a representation of social conditions, as an object to be used and/or enjoyed, as a product dependent on shared resources, as a touchstone for dialogue, etc.—and composing your work in a way that is responsible, ethical, and compassionate. Contextualizing: Working in a way that is mindful of how your exploration and creation connect to works done by others and to sources of inspiration kindred to those informing or inspiring your own work. Malcolm Gladwell explains it best in Outliers, but you’ll find the same criterion in numerous other sources: the baseline for mastery of anything is 10,000 hours of practice (around 4 hours per day, 5 days a week, for 10 years). One semester of college coursework is a drop in the bucket, but it’s also potentially 300+ hours of practice. 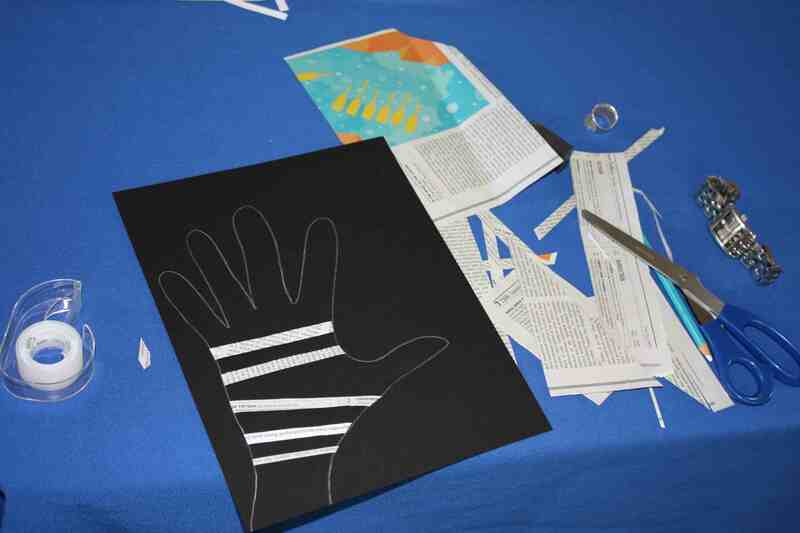 This entry was posted in arts in education, instructional design, teaching and learning ingenuity and tagged materials, writing by Brooke Hessler. Bookmark the permalink.